Jacob Lee Frazier was born on 30 November 1978 in Saint Charles, Kane County, IL. Jacob was a tenacious football player at Burlington Central High School so no one was surprised when he entered the military the year after his graduation. Jacob was the caretaker in the family, the one who would step up. He watched out for his younger sister - once even giving her high school sophomore date an earful. 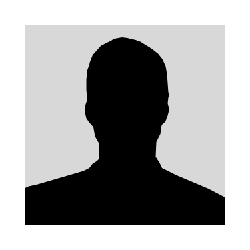 In 1997, he enlisted in the Illinois Air National Guard and was determined to excel. He was sent to Afghanistan in January to work with U.S. Army Special Forces. In just two months, he had participated in three reconnaissance missions to uncover information on people believed to be planning attacks on Americans. The missions led to the discovery of numerous documents and personnel. 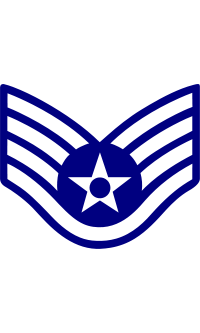 On 29 March 2003 Frazier was serving as a Staff Sergeant with the 169th Air Support Operations Squadron, 182nd Airlift Wing, Peoria, IL, which was deployed in Afghanistan. That day, Frazier was in charge of calling in air support for troops on the ground. He and a Special Forces soldier were shot to death when four gunmen ambushed their convoy on motorcycles. Before being deployed to Afghanistan, Jacob talked to his family and told them he would be seeing them again in about a year. 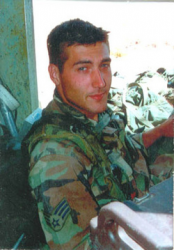 It was always in his heart to be a good Special Ops soldier; he worked and trained very hard. When his family would ask him where he was he would say, "I'm out here chasing bad guys." He is greatly missed for his sense of humor, devotion to his family and his concern for the welfare of all whom he loved. He will forever be respected for his ultimate sacrifice for the nation he loved and defended with honor. 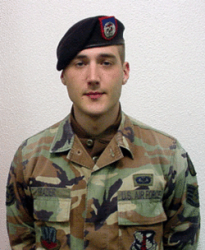 Staff Sergeant Jacob Lee Frazier was killed in action on 29 March 2003. He is buried at Abraham Lincoln National Cemetery in Elwood, Will County, IL, in Section 1, Site 368.